Putting on eyeshadow can be quite daunting if you’re a beginner. It’s very important to understand the different shapes of eyes before starting out with eyeshadow. Eyeshadow helps us to create illusion by using different shades as well as textures in order to get the final effects. This step-by-step will guide you carefully on how you can apply your own eyeshadow. In order to apply eyeshadow, you must first know the layout of your own eye. Basically, there are six different eye shapes. These include close-set eyes, deep-set eyes, hooded eyes, almond eyes, down-turned eyes, and protruding eyes. You can easily find pictures of these eye shapes through the Internet and figure out which one is yours. Close-set eyes should always avoid any kind of dark colors and eyeliner in the inner corner. Deep-set eyes will look good with lighter colors especially on the lid with a much deeper color on and above the eye sockets. People with hooded eyes should use matte colors and avoid shimmer or glitter. Almost eyes are considered the perfect eye shape. Any makeup technique will work well with them. Down-turned eyes will look best with mascara and curled eyelashes. Lastly, the best way to shade protruding eyes is by using medium to dark matte shades, since this shape can be quite difficult to handle. There are three sections of the eye area which are very easy to figure out. These are the inner part, middle part, and outer part. The inner part is the close to the nose while the middle section is the one where crease occurs. The outer part of the eye is the closest to the ear. Smaller parts of eye include the tear duct, lid, crease, browbone, upper lashline, waterline, and lower lashline. There are five different eyeshadow shapes. The fan shape is the most pleasing form for close-set eyes. This style begins with the lightest shade of yellow or peach at the eye crease and ends with a dark shade of brown at the upper lash line. Beginning at the upper lash line, the snow globe style goes from dark and then to light color and ends with the same dark shade at the crease. Since it gives the illusion of having a rounded eye, this is suitable for anyone with flat eyes. Smokey eye is one of the most popular eyeshadow styles. This consists of a dark shade on the lower half of your lower lid and a light or medium color on the crease area. The cat eye makes someone looks very mysterious and fun at the same time. 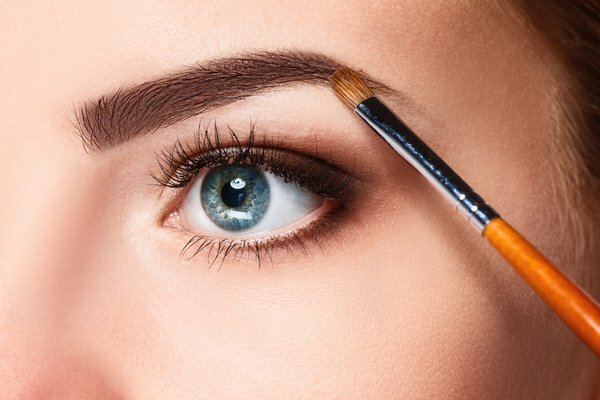 You start by using eyeliner along the waterline that eventually curves up toward the corner of your eyelid. Then, use dark eyeshadow to fill in the negative space. To do the cut crease, use eyeliner to create a line across your eye’s crease before blending the color outward. Then, apply some lighter shades just below the crease. In order to have good eye makeup, you must know which brushes to use when putting on eyeshadow. A flat, stiff brush is used to apply shades just under the lashline. It’s also used to create a defined line along the eye’s crease. The pencil brush is used to apply color under the eye. The stiff dome brush is used to blend out and to create the smokey eye style. When it comes to blending flawlessly, the soft dome brush is the most suitable due to its soft bristles. Now that you understand different eye layouts, parts of eye, eyeshadow shapes ,and which brushes to use, it’s time to start putting on eyeshadow. 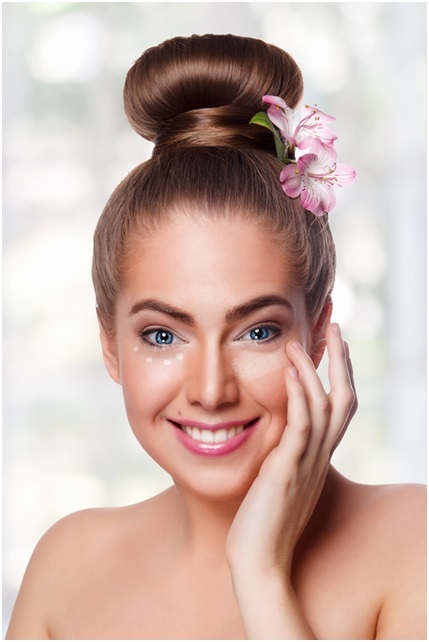 Use a primer on your eyelids such as concealer or liquid foundation. Blend it all over your eyelids by using clean fingers or sponge. Put your base color on your eyelids. Start with the lightest or most neutral color. Once you’re done with the base, begin experimenting with the eyeshadow shapes mentioned earlier. Line your eyes with brown or black eyeliner. This makes your eyes appear bigger and rounder. You can also apply mascara on your lashes. Putting on eyeshadow involves a lot of patience, especially if you’re a beginner. However, it can be an amazing new experience. Remember: Eyes are the window to the soul.